Whether you are a althelete looking for a post-workout shake or someone looking to just eat healthier, this healthy chocolate almond protein shake is both nutritious and delicious. 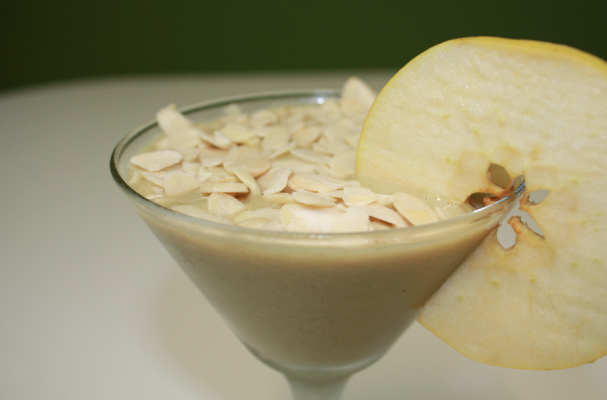 The secret to creating this protein rich drink is adding hemp seed protein powder. This plant based powder is dairy-free, gluten-free, and soy-free, so it is perfect for anyone with any dietary restrictions. In addition it is rich in fiber, omega 6 fatty acids, all nine essential amino acids, and other numerous vitamins and minerals. Hemp protein powder is not limited to just shakes. It can be stirred into oatmeal or added to sauces as well. This smoothie is so delicious you will think you are sipping on dessert for breakfast. Place all the ingredients into a blender and puree until smooth.